Sign up for 2015 Short Notice Club! Each season, a limited number of short notice trips become available due to last minute cancellations or re-scheduling by our clients. These trips are offered to SNC members at a discount. Advance notice is typically one to three weeks prior to the trip date. 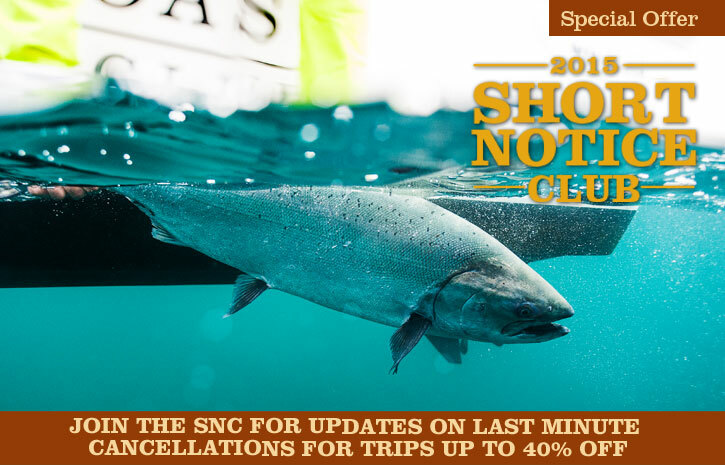 Click here to be redirected to our sign up page to become an SNC member to receive weekly updates on last minute trips.